linked to former First Lady, Mrs. Patience Jonathan do for internal administrative reasons and not by court orders. The committee also faulted the procedure for freezing the bank accounts through court orders served on the banks by the Economic and Financial Crimes Commission (EFCC), instead of through court balliffs. 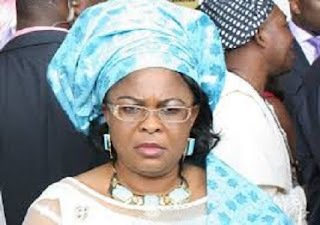 The lawmakers made the observation while hearing the petition filed on behalf of Mrs. Jonathan by her lawyer, Mr. Charles Ogboli, protesting the freezing of her accounts in seven banks without court orders. The committee found that while the EFCC had served the banks with the initial court orders, it did not serve the banks with court order vacating the freeze, but rather served them with notice of appeal. Several members of the committee queried the powers of the EFCC to serve court orders on banks, when the anti-graft agency is not part of the judiciary. Senator Obinna Ogba (Ebonyi PDP) said simply verifying if the court order is authentic, is not the right procedure for the banks to adopt. Ogba accused the banks of taking advantage of such orders to do business with customer's frozen funds. "EFCC cannot take someone to court, and then be the one to serve the bank. EFCC is not judiciary; judiciary is separate. That is why there are people engaged as court balliffs," he said. The Chairman of the Committee, Senator Sam Anyanwu, also faulted the process. "The court balliff should be the one serving the court order, and the bank should sign for it. It looks like they (banks) are taking advantage. The money is available to you and you are trading with it," he said. Anyanwu also faulted the decision of Stanbic IBTC Bank to freeze an account linked to Finley Top Homes, one of the firms affected by the court order, while the account itself was not listed to be frozen. The account belonging to AM-PM Global Network Ltd has the same signatory as Finley Top Homes, one Ada Amah. Officials of the bank said the account was frozen because it had not fully complied with the "Know Your Customer" requirements of the Central Bank of Nigeria. Earlier, the Acting Managing Director of Eco bank, Mr. Akin Dada said the personal account of Mrs. Jonathan was not frozen by the bank and was operated just last week. He however noted that a court order served on the bank by the EFCC caused a freeze on two accounts, one of which has the former first lady listed as trustee: Ariwabai Aruera Reach Out Foundation, and the second; Finley Top Homes, specifically listed in the order. He added that the bank is not aware of any court order vacating the initial freeze order.